Rob Lin (The WAT in N.Y.) def. Rob Gonzales (The WAT in N.Y.) def. by Split Decision: 30-28, 28-29 and 29-28. 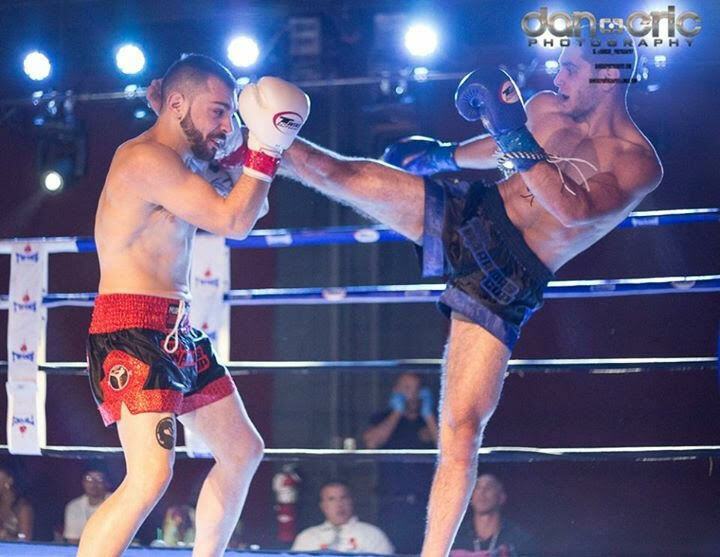 Ethan Geffen (Ringsport Muay Thai in N.Y.) def. by Unanimous Decision: 30-26, 30-26 and 29-27.
by Unanimous Decision: 30-28, 30-28, and 29-28.
by Unanimous Decision: 29-28, 29-28 and 30-27.
by Unanimous Decision: All three judges scored it 30-27. Cathy Raptis (Strike First MMA in N.Y.) def. by Unanimous Decision: 30-28, 30-28 and 29-28. Jocelin Joseph (Animals MMA in N.Y.) def. by TKO (Referee stoppage) at 0:50 of Round 2. Carly Onofrio (Stay Fly Muaythai in Philadelphia) def. by Unanimous Decision: All three judges scored it 29-28. John Alvarez (Knock Out Muay Thai in N.J.) def. Brett Pastore (Animals MMA in N.Y.) def. This entry was posted in News & Results and tagged featured, Muay Thai, Warriors Cup 23. Bookmark the permalink.